Using dog food supplements is a great way to keep your dog in good health condition. Before supplementing your dog, you need to clarify why you want to supplement. Is the dog vomits or has diarrhea? Is he sick? If you notice any these signs, you should immediately consult your veterinarian. Conditions like bad breath, lack of energy, gas, sudden weight loss or gain, itchy skin, dry or greasy coats are the signs of severe medical illness. Prior starting any supplements, first you need to find out where your dog is deficient nutritionally and according to that you can choose dog food supplements. These supplements are available at over-the-counter medical stores. They contain various active ingredients that show great effect on dog’s health and the formula is usually targeted to aid with particular health condition. These supplements can only be prescribed by a veterinarian. These products contain powerful and most concentrated ingredients and only be used under doctor’s prescription. These products contain natural plant and floral extracts, which offer several health benefits. Why dog food supplements are necessary? Dog food supplements are prescribed for a healthy and balanced immune system to hinder illnesses in dogs. Supplements those are rich in minerals, vitamins and other ingredients can enhance dog’s health and wellbeing and occasionally to reduce particular illnesses or complaints. Supplements can treat most of the illnesses that strike as the dog ages. They include: arthritis, allergy, skin problems, dental problems, weight problems, coat problems and digestive problems. It is a water soluble vitamin needed to maintain healthy immune system as well as connecting tissues throughout the body. 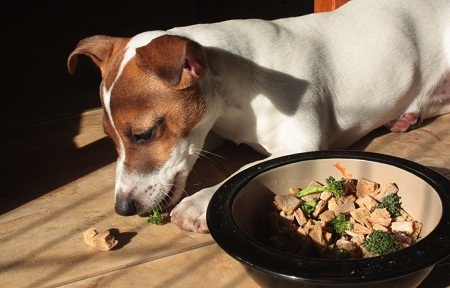 It is helpful to maintain healthy dog’s metabolism. It helps to reduce fat oxidation and prevents free radicals from damaging the healthy cells. It is a protein found in bones, cartilage, and various connective tissues. Collagen supplements will act as an adhesive to connect the ligaments, tendons, bones and cartilage. It is a powerful antioxidant that provides wonderful anti-inflammatory benefits. It is required for various metabolic functions throughout the dog’s body and is especially supportive of the immune system. It is essential for healthy immune system and to maintain healthy joints. It helps with the formation of tendons, cartilage and ligaments and also prevents degeneration of bones and joints.